There’s a twinkle in Chris Koshar’s eye that belies the seriousness of his duties. 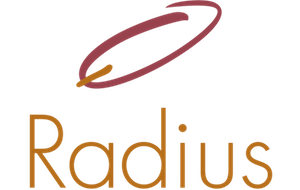 After all, as executive chef at South Franklin Circle’s Radius restaurant, he’s the point man for customer satisfaction: Managing, training, purchasing, cooking, designing menus, and maintaining guest relations all fall within his purview. And yet talk to the man, and you’ll find him confident and relaxed, with an easy smile and friendly manner that immediately communicate his ability. 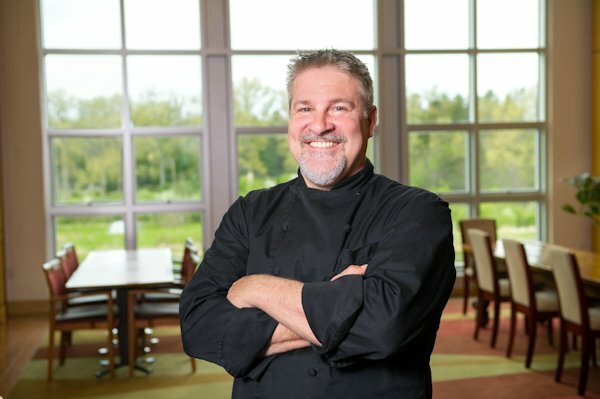 Apparently, that’s what comes from a 30-year career in Northeast Ohio kitchens, starting with after-school jobs in high school, moving on to culinary training at New York’s Paul Smith College, and culminating with an 18-year run at Cucina Rustica (formerly the East Side Grille) in Bainbridge. Chef Chris says the most important lesson his experience has taught him is this: Get to know your guests. It’s a talent he has been putting to good use since joining the Radius team in April. As a proponent of seasonal ingredients, Chris is also excited about the kitchen garden that was recently installed behind the Community Center. The “garden-fresh array” of strawberries, zucchini, tomatoes, basil, rosemary and more will soon be showing up on dinner plates, augmenting fresh produce purchased from local vendors. Beyond adding panache to old favorites like lamb shanks, chicken Marsala and beef stew, Chris has expanded the popular Sunday brunch menu with an assortment of tempting waffles, including an ultra-indulgent strawberry-cheesecake version topped with freshly sliced strawberries and whipped cream. “I call it ‘richness on a plate,’” he laughs. Not only do the carvings delight his guests, they’re another way for Chris to express his fun-loving attitude toward food.